Rochester Public Utilities (RPU) will host an open house on Saturday, May 9 from 11 a.m. – 2 p.m. at the Apache Mall water tower. The open house will give customers and the public a close up look at what it takes to provide the city of Rochester safe, reliable drinking water. 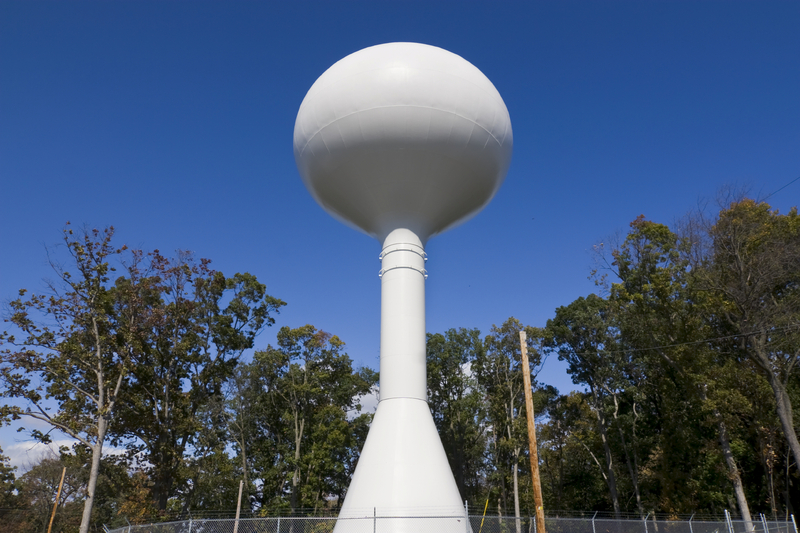 The Apache Mall water tower is a spheroid water storage facility and has the storage capacity of 500,000 gallons of water. In comparison, the Bandel reservoir located on Bandel Dr N.W. can hold up to 2,250,000 gallons of water. Water for the city of Rochester is pumped from 30 deep groundwater wells located throughout the city. Most wells are 24 inches in diameter and extend 400-1,000 feet in depth. Water in the Rochester municipal system is drawn from water-bearing rock layers called aquifers. An aquifer is any type of geologic material, such as sand or sandstone, which can supply water to wells or springs. Most of Rochester’s water is drawn from the Jordan Aquifer, a deep sedimentary unit that underlies much of southeastern Minnesota. Water is also drawn from several multi-formation wells including: Prairie du Chein-Jordan, Prairie du Chein-Galesville, Jordan-Galesville, and Prairie du Chein-Mt. Simon aquifers. In 2008, Rochester water customers used 6,095,942 ccf, with each ccf equaling 748 gallons. Rochester customers in 2006 and 2007 though, used over 200,000 ccf more each year. For more information on the water tower open house contact Tony Benson at 507-280-1534 or visit the RPU web site at www.rpu.org. A safe, reliable water supply is critical to the success of any community. It creates jobs, attracts industry and investment, and provides for the health and welfare of citizens in ways ranging from disease prevention to fire suppression. We often take water supply for granted until it is threatened, either by drought, water main breaks, or some other event. For more than 30 years, the American Water Works Association and its members have celebrated Drinking Water Week – a unique opportunity for water professionals and the communities they serve to join together to recognize the vital role water plays in our daily lives. Established in 1881, AWWA is the oldest and largest nonprofit scientific and educational organization dedicated to safe water in North America. AWWA has more than 60,000 members worldwide and its 4,600 utility members serve 80 percent of the U.S. population. This entry was posted on Friday, May 8th, 2009 at 8:49 am	and is filed under Water Utility. You can follow any responses to this entry through the RSS 2.0 feed. You can leave a response, or trackback from your own site.